These products are specially designed for the diagnosis of equine (horse) conditions. Appropriately sized and durable. 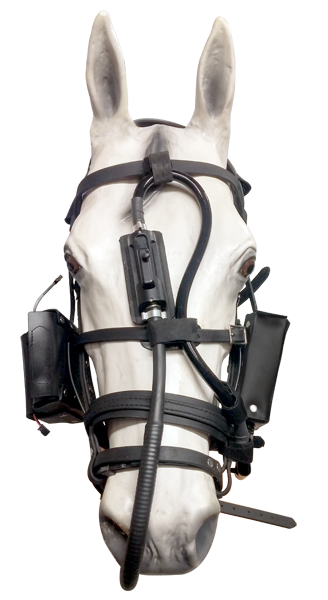 The Tele-View Dynamic Equine Exercise Endoscope allows practitioners to examine equine airway restriction problems during exercise. It is simple and easy to use and gives results in about 30 minutes. Dynamic Endoscopy is the ‘gold standard’ for diagnosing equine breathing pathology in performance horses such as race horses, dressage horses, hunter/jumpers and barrel/cutters. 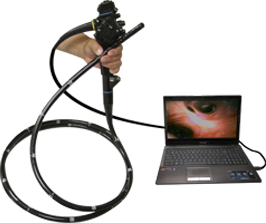 The Tele-View USB Endoscope/Gastroscope is a ‘plug and play’ device that makes endoscopy ‘simple and easy.’ These scopes work with Windows Computers, Laptops and Tablets as well as Android Devices. The high resolution sensor and super-bright LED give excellent clarity and illumination. The scopes come in sizes for small animals and equine patients. 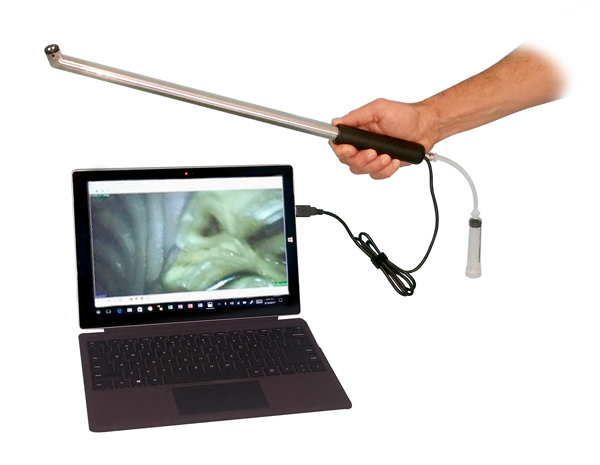 The Tele-View Equine Dental Camera is a ‘plug and play’ device that makes dental examinations ‘simple and easy.’ This dental camera work with Windows Computers, Laptops and Tablets as well as Android Devices. The high resolution sensor and super-bright LED give excellent clarity and illumination. The stainless steel design makes for a robust and durable design.